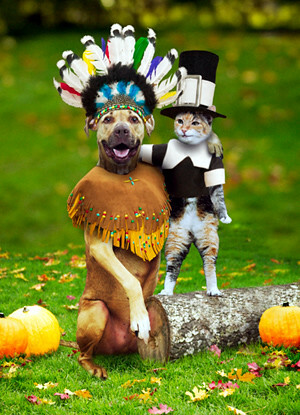 Pilgrim & Native American Thanksgiving, originally uploaded by Rescue Furdaddy. How did they get these animals to participate in this? What a great photo. Happy Thanksgiving everybody!